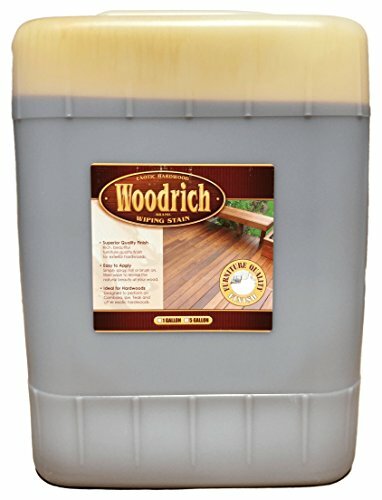 This listing includes 5 Gallons of Woodrich Brand Hardwood Wiping Stain in our Warm Honey Gold color. This can cover up to 1500 SQ FT of wood. Woodrich Brand wood stain is extremely easy to apply whether you are a DIY homeowner or contractor. It goes on rich to soak into dense exotic hardwoods. Brush, roll or spray on, then wipe with a dry rag to reveal a beautiful furniture quality finish. Very high in both pigment and resin solids so it’s durable enough for the rugged outdoors. 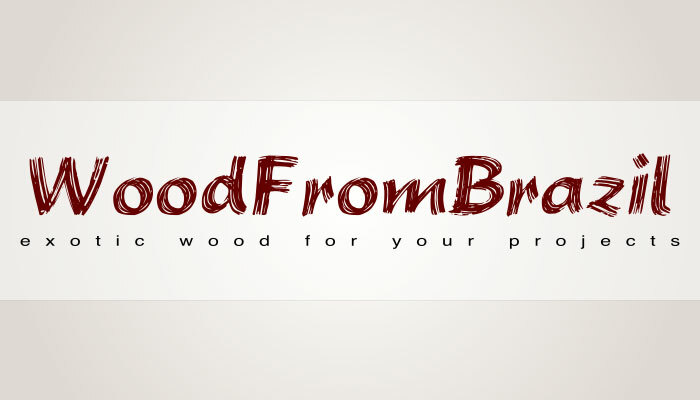 Formulated for exotic hardwoods such as Cambara, Garapa, Ipe, Purpleheart, and Teak. Our Woodrich Brand Hardwood Wiping Stain has become the finish of choice among architects, builders, homeowners, importers, and refinishing contractors. Woodrich Brand Hardwood Wiping Stain is known to outperform other finishes on exotic hardwoods because of our formula’s extremely high pigment content. The micro-ground trans-oxide pigments are locked into place by superior quality long oil alkyd resins. This gives you a system that can perform, with the limited penetration common to hardwoods, and protect with the unmatched quality of transparent oxide pigments. IDEAL FOR USE ON EXOTIC HARDWOODS – Recommended for use on Ipe, Cambara, Garapa, Mahogany, Teak, Tiger-wood and other fine hardwoods but can be used on any species of wood. EXTREMELY EASY TO APPLY & MAINTAIN – You will achieve a flawless finish with no risk of overlaps or runs that can be reapplied without having to strip the previous application. PERFECT FOR SPAY APPLICATION – Can be applied with a pump up garden sprayer or any other application method. RICH NATURAL FINISH – Transparent Oxide Pigments provide a rich finish that highlights the natural beauty of your wood. SAMPLE COLOR KITS AVAILABLE – Test our colors before purchasing your order by trying our sample color kit to make sure you get the color you want!